Are you ready to attend a party at the Comstock Center on the banks of Lake Newport? That could be the name of the former Reston Visitors Center, commonly referred to as the Tetra building, according to terms of the deal to add BLVD Apartments to RA. Reston Association members recently approved by referendum the purchase of the Lake Newport-area building from Tetra Partners commercial real estate for $2.65 million. RA announced earlier that it would be getting a $650,000 contribution from Comstock Partners as part of the deal to add the 540-unit BLVD Apartments to the association. As part of the terms of that deal, Comstock will have naming rights to the Tetra building for 10 years, RA says. RA will be paid $300,000 (as required by Fairfax County proffer for recreation), as well as an additional $350,000, which will be used in the refurbishment of the Tetra property. Comstock will get certain building naming rights for a period of 10 years, RA said. The offer of RA recreational packages for purchase by tenants of the apartment units at a fee annually established by the RA Board of Directors. Comstock will market the RA recreational packages to its tenants. At such time the apartment units are converted to condominiums, the payment of a certain percentage of the RA annual assessment rate. In fulfillment of additional county proffer requirements, RA will be responsible for the administration and staffing of the design review process in coordination with Comstock and, under the direction an Urban Redevelopment Review Panel, responsible for administering design guidelines for the area. Reston Association will be paid an annual fee for such services by Comstock. The RA Board of Directors voted in March to start the process to add BLVD, which will have one-, two- and three-bedroom luxury units at Reston Station, adjacent to the Wiehle-Reston East Metro station. 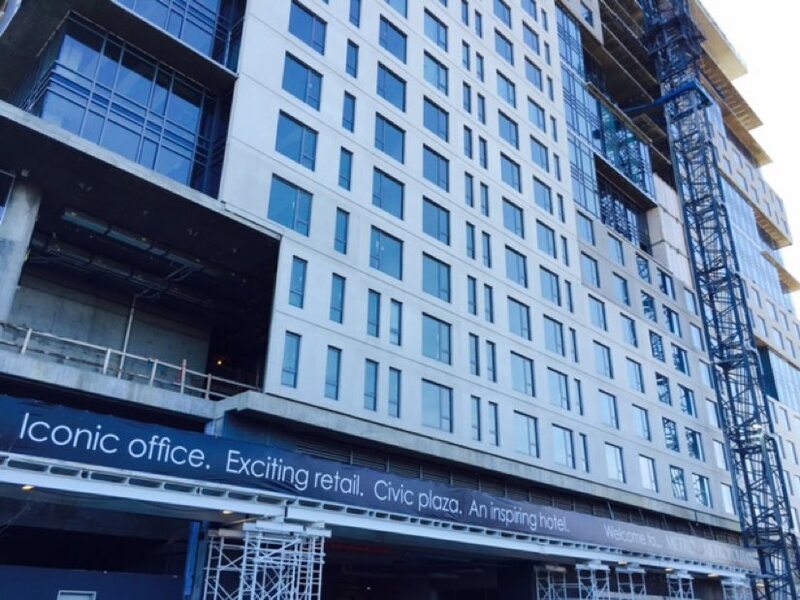 BLVD is expected to begin leasing later this year. Under RA Bylaws, properties can be added to the association with written consent of fee simple owner (in this case, Comstock Properties) and a two-thirds vote of the board. The Board of Directors passed a motion several years ago to make adding new construction in Reston a priority for the association. Properties within Reston Town Center are not in RA territory. New buildings such as The Harrison, which recently opened on Reston Parkway, and BLVD, as well as planned new and replacement construction at the Crescent Apartments site, are slated to be RA members. The second hearing will be held June 25.